Go Max Go Review & Giveaway: Buccaneer – Health Freaxs Unite! Well we are on our journey through vegan candy heaven, provided by the wonderful Go Max Go Foods. Our first stop was the coconutty and almond filled “Mahalo” bar that was good enough to cure any Hawaiian’s sweet tooth. But now onto the next bar! 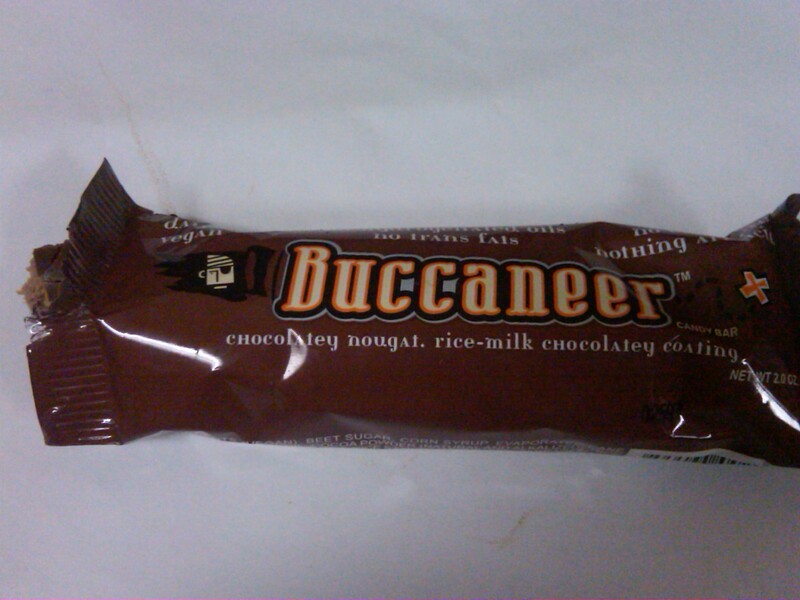 Buccaneer! Chocolate topped with chocolate and surrounded by what? Oh yeah. Chocolate! Om Nom Nom! This delicious bar to me tasted kind of like a chocolatier version of the commercial “3 Musketeers” if I had to make a reference. It was absolutely delicious. 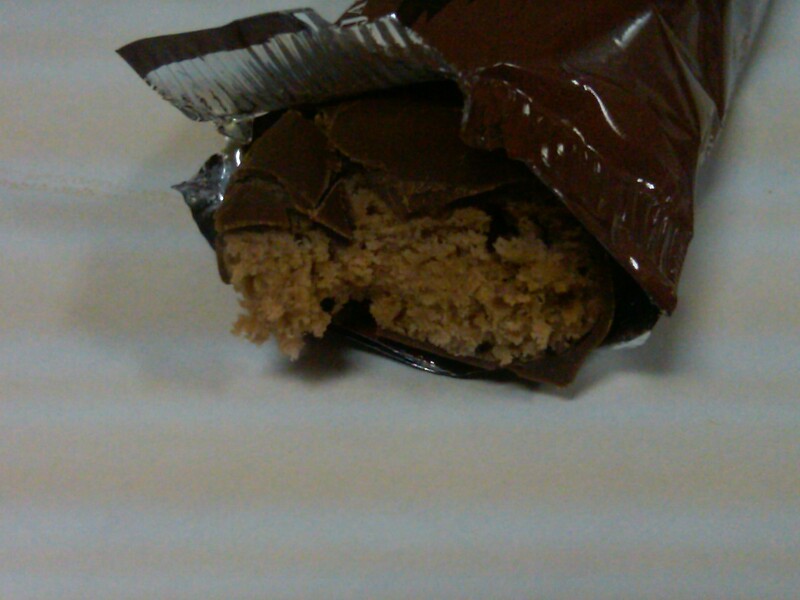 Biting into this thing, the outside is a thin and crisp, yet melt-in-your-mouth coating of rich rice chocolate. But the inside is where the fun begins. Once you get through that shell, within is a light and fluffy nougat filling! It tastes like chocolate marshmallows, or chocolate clouds or something like that. Do they make clouds made of vegan chocolate? If they do, then let it rain! 1. Comment below telling me what makes you feel like you are floating on a cloud. Now for extra entries, follow me on Twitter, Facebook, or Go Max Go Foods on Twitter . 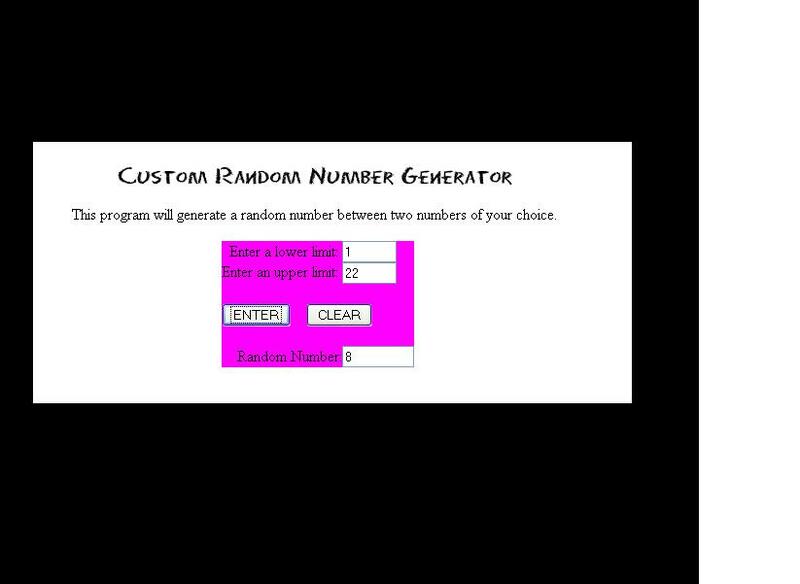 Using a random number generator, yesterday’s winner has been decided! Winner of the Mahalo bar is…..
windiebird ! Email me your address at the626drew@gmail.com to claim your prize! Chocolate Cloud-Floating Health Freax Unite! 1. Comment below telling me what you would love most about a vegan candy bar. I feel like I’m floating on a cloud when I’m playing music with friends! I’m following Go Max Go on Twitter! I feel like I’m floating on a cloud when I have time to take an afternoon nap. Thanks for the fun giveaway! I feel like I am floating on a cloud when I listen to passionate/dramatic classical music. I feel like I am on a cloud when I feel transported to another place whether it is a really good mystery novel, watching a romantic comedy, or listening to some music especially Christmas music at this time of year or something that chills me out like Sarah McLaughlin. Another thing that makes me feel like I am on a cloud is when I’m in awe, I remember the first day of my internship in NYC, I was just so happy I felt like nothing could tear me down! I also follow you and Go Max Foods on twitter! Fun giveaway question! I feel like I’m floating on a cloud when I’m taking a bubble bath. I’m following the awesome @vegmuffinman on twitter! I’m also following the delicious (so I’ve heard) @gomaxgofoods on Twitter! And, I’m a new follower on FB! Pingback: Go Max Go Review & Giveaway: Joker « Health Freaxs Unite!